Found on the eastern side of the archipelago, Gran Canaria is the third largest island in the Canary Islands. 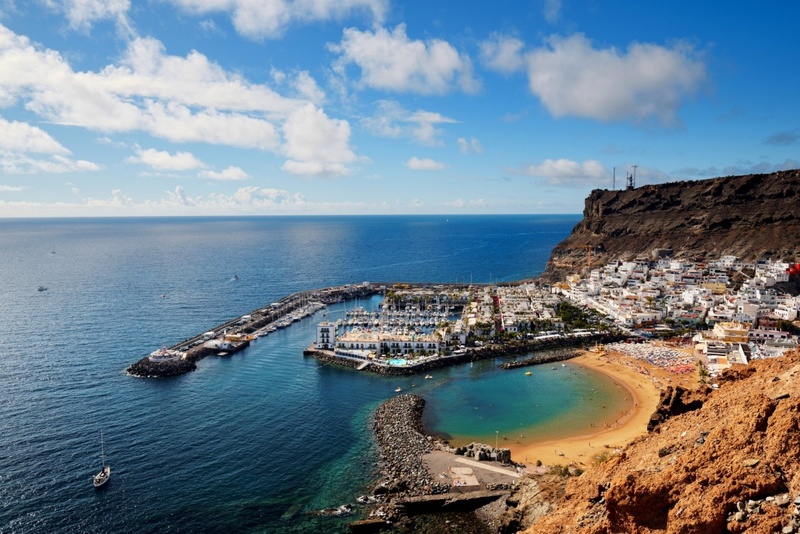 One of the most popular islands owned by Spain, Gran Canaria is home to a superb range of holiday resorts where you’ll find top-quality accommodation, world-class tourist attractions and an outstanding nightlife scene which is tough to beat. The biggest holiday resorts are located along the coast of the south of Gran Canaria and enjoy the best weather on the island. Playa del Ingles and Maspalomas lie side-by-side and are where most visitors choose to stay if they’re searching for the perfect holiday in Gran Canaria. Both of these resorts offer a wide range of accommodation, international restaurants, all sorts of bars, shopping centres and beautiful beaches. Playa del Ingles is famed for the Yumbo Centre which is home to a huge gay scene and the family-friendly Aqualand water park whilst Maspalomas is best known for its sensational sand dunes and Palmitos Park, the wonderful animal zoo. Ideal for anyone in search of a chilled out beach holiday, Puerto Rico is a fantastic resort which is a bit more laid-back than Playa del Ingles and Maspalomas. This resort enjoys one of the best locations on the island which means it receives more sunshine and higher temperatures than any other resort. In addition to the alluring golden beach, this resort also offers a number of commercial centres full of shops, supermarkets, bars, restaurants and nightclubs so you’ll never be stuck for something to do. One of the most beautiful places on the island, Puerto Rico is the ideal area to enjoy a leisurely stroll in the sunshine. For the perfect combination of modern holiday resort and traditional Canarian village, it’s got to be Puerto Mogan. Found on the south west coast of the island, this resort focuses on quality over quantity, with a handful of amenities and services – many of which are world-class. A lot of the accommodation here comes in the form of quaint Canarian houses which are divided by pretty man-made rivers reminiscent of Venice. The stylish harbour is lined by traditional bars and restaurants and is also where the market is held where you can purchase everything from beautiful hand-woven garments to cheap and cheerful souvenirs. Whether you’re a family looking for the ideal child-friendly holiday, a couple searching for a sunshine break or a solo traveller who wants to explore, Gran Canaria provides you with everything you could ever want to create holiday memories which will last a lifetime. You can find more information about Gran Canaria at the travel guide Gran Canaria Island that we have dedicated to this great island of Canary Islands.